Would you like to win a summery one? I took fun rainbow colors, with a mix of favorite fabrics, and made a fun banner: You'll have to supply the wreath. I found mine at the dollar store. A grapevine wreath would be fun too. If you'd like to win this, just leave a comment on this post. Simple as that. International entries are welcome. Thank you for reading, supporting my work, and making blogging so much fun. Good luck! 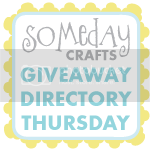 Giveaway ends July 1, 6 pm MDT. Winner will be drawn via random.org. my first thought would be an easteriey one....this year I found I have no Easter decorations!! Your holiday wreaths are so cute. I would love to win a banner of my own. Thanks for the chance to win! I just stumbled across your blog, and I'm really enjoying reading over older post...these little banners are just too cute! 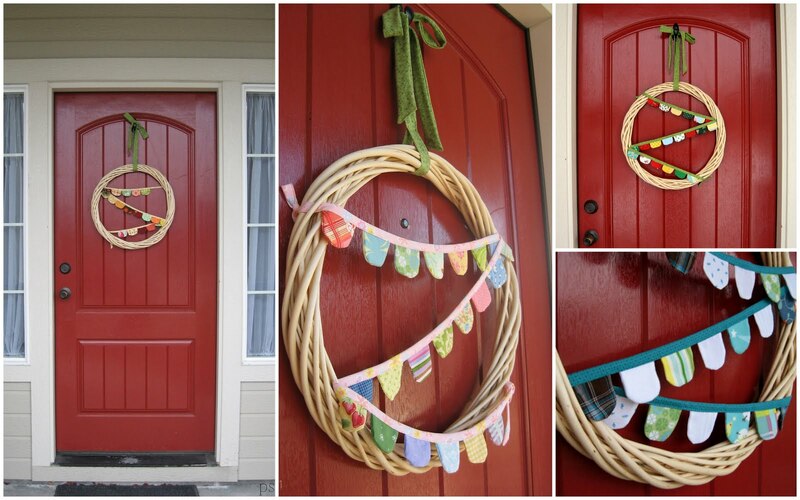 A grapevine wreath would look awesome with your cute banners. I need a summer wreath!! I love your cute wreath!! It's so happy! Pick me!!! Oh, I would LOVE one! I love your cute wreath. Happy Happy Birthday friend! Love to win it. Would be proud to display it. Great idea! I actually may use something similar in my nursery. I think it would go well in there! This is a cute idea. I haven't had time to make anything for my door yet, so I would be delighted to win! I'm glad I found this before the deadline. How cute is that little banner. Thanks for the chance to win. I always have a wreath, but for some reason I do not have a summer one. This would be perfect! Well, you know I have my hand raised (and I'm hopping up and down) for this banner. My front door is naked as a jay bird (hehe) and this would be so cute. Of course, I'm also wanting to give it to my sister who just moved to teaching her first year of Kindergarten. (She taught 3rd grade for years.) She's so excited and I know she would love this for her classroom. She puts so much care into making her classroom feel comfortable and non-institutional. She makes curtains for the windows & book case covers, etc. with the prettiest, colorful fabrics. Darn you, conscience! Happy Birthday Week to you! super cute - i love these little banners!